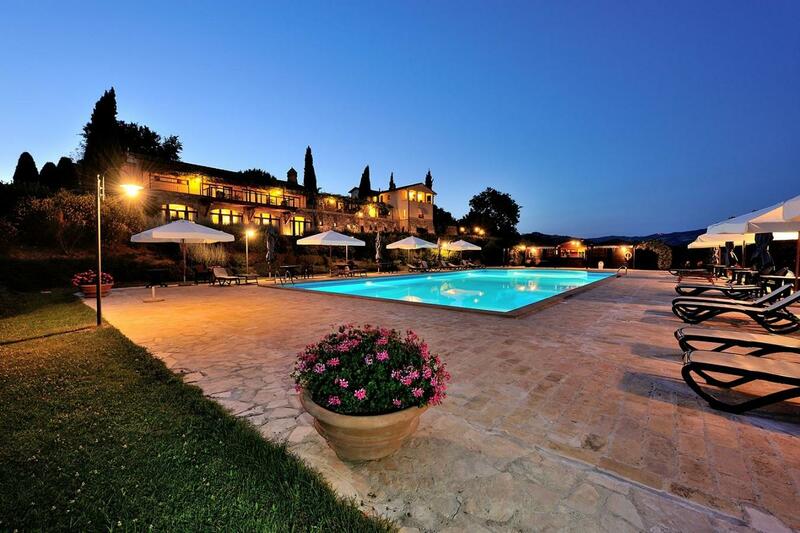 The Relais Ripa is a relais & SPA located near Ripa's ancient castle, just in front of Assisi. It is the ideal place where you can relax and regenerate yourself, in contact with the most unspoiled nature, and far from the daily routine of frenetic life. The Relais is at only few minutes by car from the most beautiful art cities of Umbria (Perugia, Gubbio, Montefalco, Spoleto, Todi ...) and Ripa is within easy reach of the wild green of Valnerina and Tiber valleys and of the silver hills of Trasimeno Lake and Tuscany. During your holiday you will experience the old traditions both cultural and eno-gastronomic of Italy's green heart. The Relais is located near the old "Sentiero Francescano", that from Assisi leads to Gubbio. It makes you easy to have beautiful walks and to go by mountain bike in touch with the wild green of Umbria. Relax yourself in the exclusive PRIVATE SPA. When you get back to Ripa Relais you can relax yourself bathing in the beautiful swimming-pool with hydro-massage, feeling all around the scents of the nature and looking to the beautiful colours of our countryside. The sixteen rooms are located in the four old farmhouses, lovingly restored with the intent to preserve the essence and charm of old times. They are distinguished for the care of furnishings and accessories: the old beams are exposed, the typical wrought iron beds, furniture-style pieces are handmade, tents and blankets come from the precious art of embroidery in Montefalco. Ripa Relais Colle del Sole has successfully passed the 100 Quality Controls established by the "Certification Protocol of Historic Houses of Excellence" and is properly certified by the ITALIAN REGISTRY OF THE HISTORIC HOUSES OF EXCELLENCE. CONDITIONS - Vip Experience is reserved to clients of Residenze d’Epoca with VIP Coupon that will BOOK DIRECTLY at Ripa Relais Colle del Sole by 31/12/2019 in a superior room (NO base room). Ripa Relais Colle del Sole can guarantee Vip Experience for up to 2 guests (rooms) during the same period. Vip Experience does NOT include the costs of the stay. CONDIZIONI - The Vip Experience is reserved to Residenze d'Epoca clients in possession of a VIP Coupon, who will directly book a stay in a double superior room (NOT a standard room) at Ripa Relais Colle del Sole within 31/12/2019. Ripa Relais Colle del Sole will guarantee the Vip Experience to maximum two clients (rooms) in the same period. The Vip Experience doesn't include the cost of the stay. We have sent you a confirmation. We'll advice you when a "VIP Coupon - Complimentary" will be available (FREE for you, offered by Ripa Relais Colle del Sole). The phone number of Ripa Relais Colle del Sole is +39 0756020131. The fax number is 0756020196.